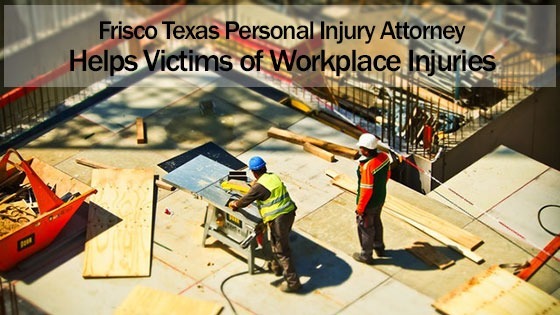 Were you recently injured in an accident at your workplace in Frisco, Texas? If so, you should know that there is help available. If your employer or insurance company is refusing to give you the full settlement you deserve, you can find justice elsewhere. You can hire a Frisco personal injury attorney to get the full amount that you are owed. If you were injured while doing your job, you have the right to be compensated. If the injury was caused by the willful negligence of another employee or the company itself, you can seek justice. You can hire a personal injury lawyer to represent your case in court. The first thing you need to know is that your employer is fully insured against employees getting injured at their workplace. So it’s not like you are taking money out of their pockets when you file your personal injury claim. This is an excuse that simply doesn’t gibe with the facts. Some employers will even do their best to hide or distort the true facts of the case. They will do all in their power to try to avoid paying you the full settlement you are rightfully owed. To add insult to injury, your own insurance company may even attempt to evade paying you what they really owe you. When this happens, you can hire a personal injury lawyer to represent you. There are several reasons why it is definitely in your best interests to hire a Frisco personal injury attorney. Your lawyer is the one who will sit down with you to discuss the details of the case. They will help you organize all of the documents and eyewitness statements that you need to prove your side of the story. You may need to collect statements from emergency personnel and the doctors who attended you. You will also need records of all of the medical bills that you have racked up since then. These are documents that you can show to prove that you deserve to be compensated for your financial losses as well as your physical injuries. Your lawyer is also the person who will stand with you in court. This is the most important thing that they can do on your behalf. You should never try to represent your own personal injury case in court. Never forget that the opposing lawyer will try to do all that they can to discredit you. They will try to get you confused so that you will accidentally contradict or discredit yourself. While you were busy recovering in the hospital from your injuries, you may have lost your job. Your employer may have fired you after you took too many vacation and personal days. This means that the bills are still racking up with no income to pay them with. You may be at risk of losing your home, your car, and the rest of your possessions. Your Frisco personal injury attorney is the one that will fight on your behalf to prevent this from happening. It’s up to you to make the call today.